10th February 2017 – An ACCA Accelerate Briefing 2017 was held at IUKL Mini Theatre. It was attended by 35 Bachelor of Accountancy (Hons) students and ACCA was represented by Mr Clement Dass. 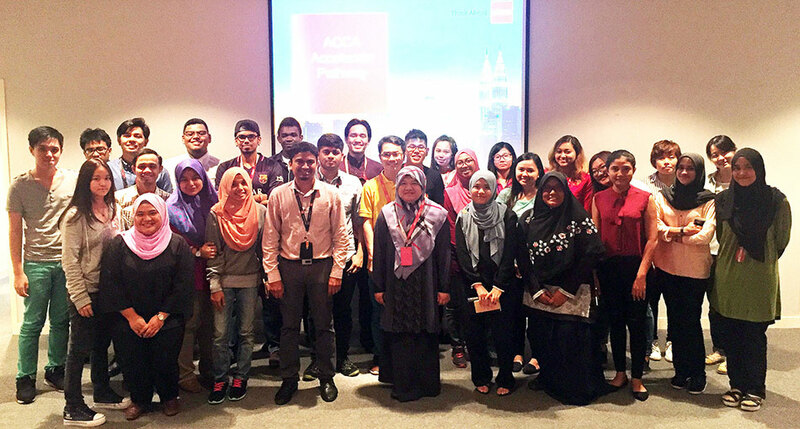 ACCA Accelerate is a special scheme offered to aspiring final-year undergraduates from selected leading universities in Malaysia to complete their ACCA concurrent with their degree. The benefits offered are free ACCA registration and two years annual subscriptions, deferment to pay exemption fee for 24 months, invitations to exclusive events and networking opportunities. Students who sign up for ACCA Accelerate also have the opportunity for a sponsorship for 2 professional exam fees by TalentCorp subject to terms and conditions. Apart from that, it was also an information sharing session on the future pathways our student can embark on. The fruitful session with useful input from ACCA ended with the submission of application forms by the students to enroll on the scheme.